We (PROWESS) have been in business since 2006 serving select clientele. We are Head Quartered in the Indian capital, New Delhi with our operations spread across Mumbai, Bangalore and Pune. Our team of consultants are from IT industry with most of them having 10+ years of experience along with engineering and management degrees, followed by other industry certifications and work experience from leading national and multinational firms like IBM Global Services, Oracle , Tata Infotech , TCS, Borland Software, Imation(3M) and Larsen & Tourbo Ltd.
We have team of directly participating consultants as part of prowess and also honorary team members who assist us at the time of need. Team of professionals would mean best “skill” or “ability” to understand your needs ( i.e. 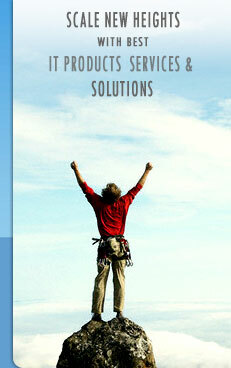 Prowess ) and our motto is to help you “Scale New Heights” by making IT more affordable and work for you. In a short span of time we have grown in our operations with help of our select client base, as our focus is not on number of clients but on the quality of assignment. PROWESS consultants have seen the sweating companies and bleeding companies and have helped them become healthier companies. We constantly evaluate product based solutions that are being made available in this market so as to select ones that are most appropriate for your Business operations. An organization can only drive & sustain its strength from its personnel. We value our team and have an environment that has brought together a dedicated, highly motivated team of experienced professional, who synergize seamlessly to bring to your table a wealth of expertise for all your IT requirements in the defined segment. PROWESS has a flat organization structure to cater to your needs. Our senior management is deeply committed to our goals. PROWESS only criterion for growth is quality performance. PROWESS is uniquely placed as one of the few companies in India to offer you effective solutions for your business automation using softwares. In the current E-commerce scenario, with our combined strengths and strategic partnerships, we can help you automate which is so vital for your sustained growth & profits. As always PROWESS greater strength will continue to be its ability to understand your specific needs and offer appropriate and optimal solutions. We keep moving forward at a fast pace, assimilating technology, constantly identifying newer avenues of increasing business, and always building a loyal base of satisfied customers. When you turn to us, your needs are met with reliable people, products , service or solution by dedicated teams, proven processes, and our ability to get the job done. Among a plethora of services, our focus is on Sales Process Outsourcing (SPO), Recruitment Process Outsourcing (RPO), Permanent & Contractual Staffing, SAP online training and Consulting. Satisfied clientele base bear testimony to the quality of our work. In every business engagement, we seek the opportunity to build long-lasting, strategic relationships. This client-centric focus is the heart of our business values and the soul of our culture, and forms the basis for how we, as a company, operate and serve our clients. Commitment to long-term client success empowers every consultant/associate to provide value and flexibility beyond the contract.